Coffeeshop Rusland this is the second oldest cannabis store (a.k.a coffeeshop) of Amsterdam. It’s named Rusland – which means Russia in Dutch. It was founded in 1975 – more than 40 years old! 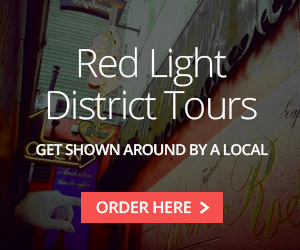 It’s located just outside the Red Light District on a street that is called Rusland. The first coffee shop in Amsterdam was Mellow Yellow, but that one didn’t have an official license for selling cannabis. 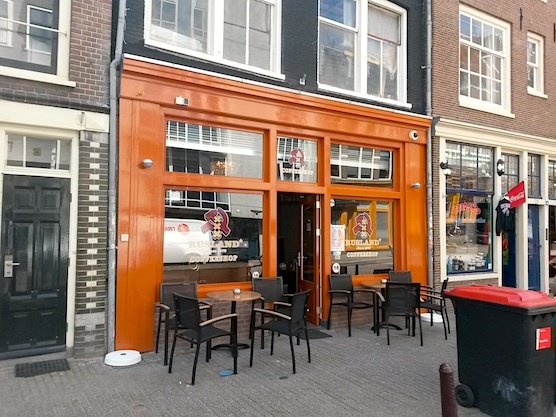 However, coffeeshop Rusland did manage to get a license from the City of Amsterdam. 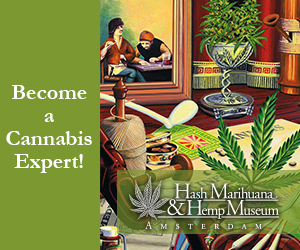 Thence, it became Amsterdam’s 1st official licensed coffeeshop – and thus in the world! Have you visited coffeeshop Rusland before? Let the world know how it was by posting a review below. Its a great shop man , the white russian is a great bit of bud! I went in there at Christmas. Nice decor and facilities. The guy behind the counter was a bit moody but he was Russian so I could make allowances. I’ve been to Rusland! It’s a great place to chill and the bud is fire. I had the super lemon haze from here it was really good! Was in there yesterday good it has smoking lounge downstairs plenty of room in there and is a nice shop and nice weed.